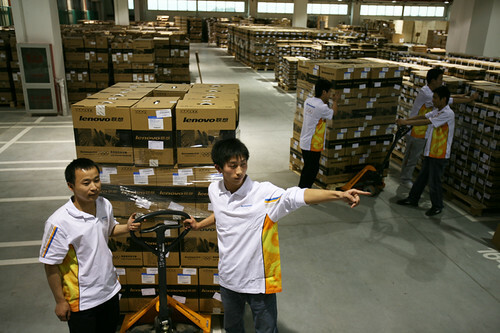 by David Churbuck, Vice President Web Marketing As the ParaOlympic Games draw to a close in Beijing, I wanted to talk about the real action behind Lenovo’s sponsorship of the Olympics: the deployment of our technology behind the scenes, in the venues, and throughout the Olympic infrastructure. 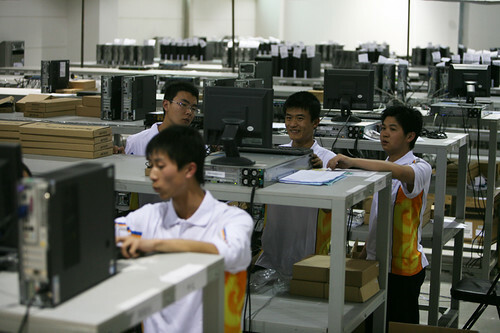 Since I used to write this sort of case study for a living at PC Week in the 1980s (we called them Focus On Technologies), I guess I’m as good as any guest blogger to talk about what Lenovo did in Beijing to power the world’s biggest idea, the Olympics. Some sponsors get to be the official sugar water or fast food of the Games. Others get the sole credit card rights for people buying souvenirs. Lenovo? We literally powered the Games with our PCs, putting some 30,000 notebooks and desktops throughout the Olympic complex across seven cities and more than 300 medal events. The stakes were huge, the opportunities immense, and failure was never an option. Why did we do this? The message to the world is if we can do this; imagine what we can do for your company. Here are the details on what we rolled out and maintained – without a single hiccup – through the months and days leading up to the Games. 5,000 showcase models across multiple athlete iLounges, hospitality centers, hotels, media centers …. The deployment was a challenge simply because there is no legacy system to inherit, transport and build upon in the unique world of Olympic IT. The infrastructure for one Olympiad is not rolled up, stored in a closet, and redeployed two years later. It’s all dismantled and, in the case of the 2008 Summer Olympics, given to the Beijing Organizing Committee (BOCOG) to dispose of as they see fit to charities and other causes. Given that reality – our engineers had to start from scratch, beginning in 2004, when they started planning not only for Beijing but for the Winter Games in Torino in 2006. As Leon Xie, the man tasked with the project, puts it, this was more than two years of work for two weeks of operations by 600 engineers and support staff. And there was no legacy system to build upon. 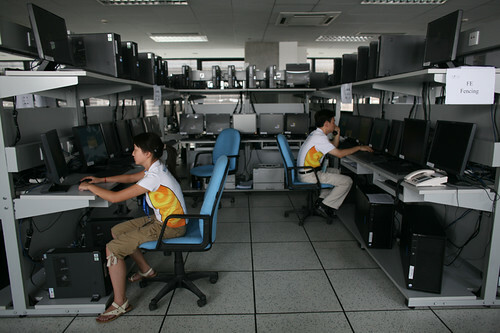 Every Olympics see its IT infrastructure left behind. 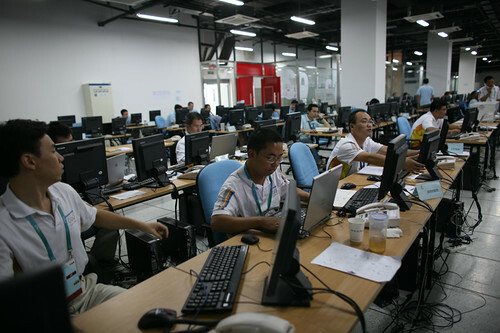 The challenge was spread across seven even sites in Beijing, Shanghai, Shenyang, Qinhuangdao, Tianjin, Hong Kong, and Qingdao in 32 venues and 17 data centers. To insure no glitches four levels of redundancy were built in by the engineering teams. Technicians are staffed at every venue. Pre-Games support from Lenovo R&D centers. The question begged is what did these systems actually do? From accreditation desks when athletes checked into the Athlete Olympic Village and journalists into the media center to the results captured when Michael Phelps’ finger tips hit the Omega timing pad in the Water Cube and then were shared with those journalists with unwavering accuracy …. 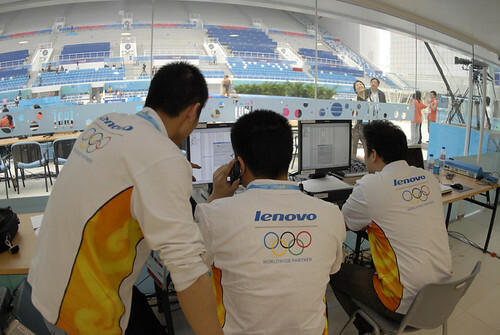 Lenovo systems processed, communicated, and shared the digital stream of these Olympics with 100% uptime and accuracy. The big test came during the first set of rains in mid-August. Dozens of ThinkPads were soaked during the downpours; all came through beautifully thanks to their self-draining keyboards.